There are 8 in total. The biomes of the world are categorized as marine, tundra, dessert, savannah, grassland, tropical rain forest, deciduous forest, and coniferous forest. I caught these two humpback whales foraging about in one of these biomes of the world, the marine biome - the largest on this planet. The iceberg in the background made for an interesting feature in the picture. 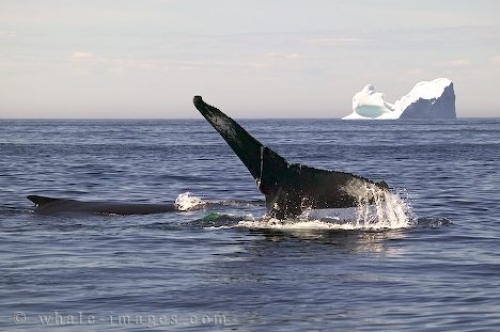 Picture of a Humpback Whale Mother with a little Baby and an Iceberg off the Newfoundland coast.